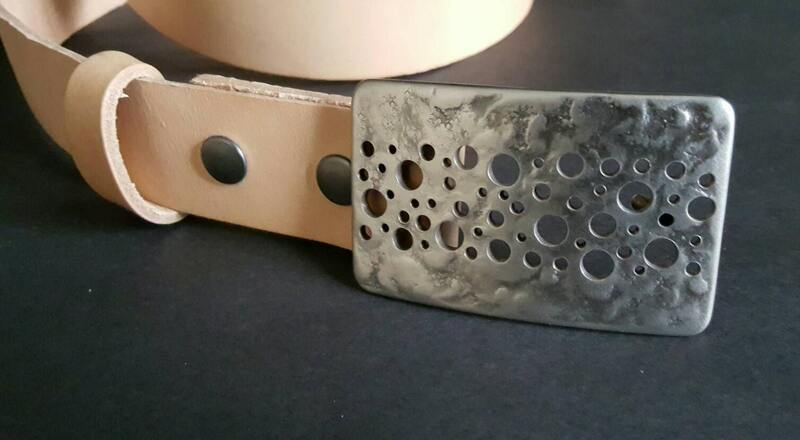 Black velvet or beige burlap storage bag included with each belt buckle. Please make your choice at the time of purchase. 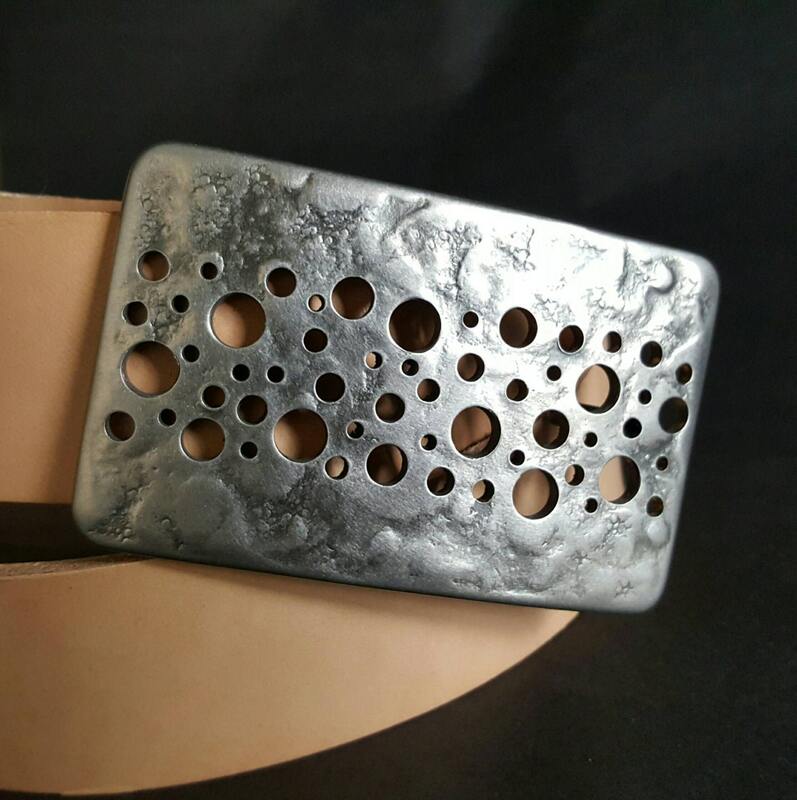 Buckle shown on natural belt with natural mink oil finish. 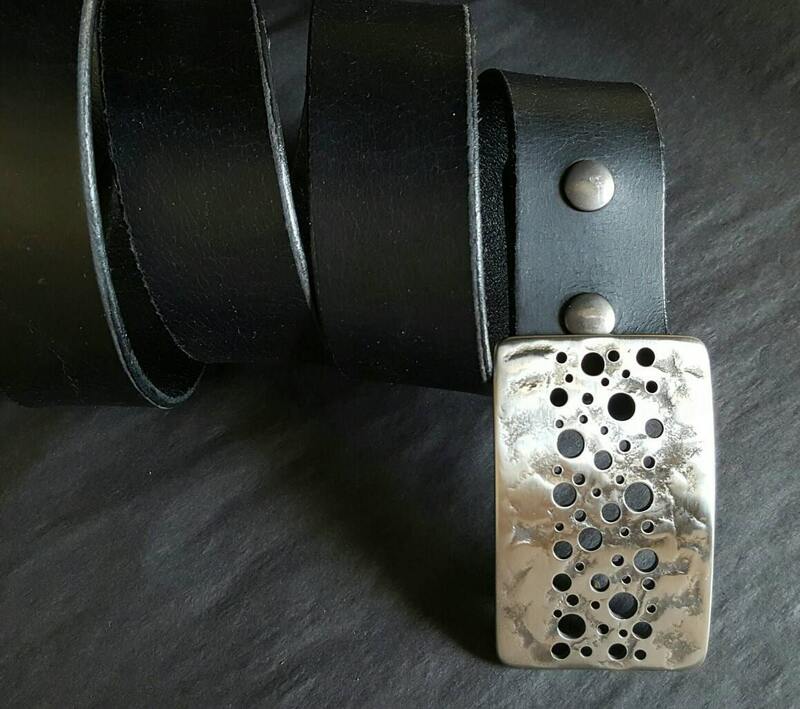 Buckle also shown on black oiled buffalo belt and distressed buffalo leather belt. 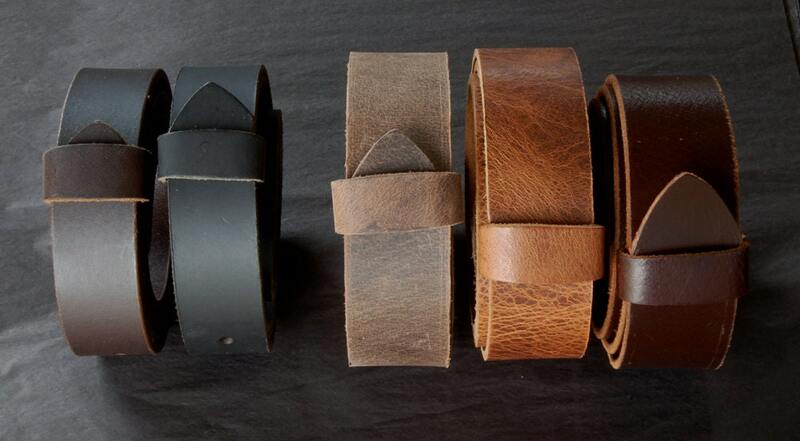 Dark Brown, Black, Fawn Brown, Distressed and Mahogany leather belts. Full grain high quality buffalo leather belts in dark brown, black, fawn brown, distressed & mahogany sold separately $35. 1-1/2" wide belt (Jeans) and 1-1/4" wide belt (suits)available for custom fit. Please specify the width(s) you are ordering. It is our pleasure to combine items for shipping. Just let us know your waist size, or measure your existing belt from the fold over(where the buckle attaches) to the hole you use most. 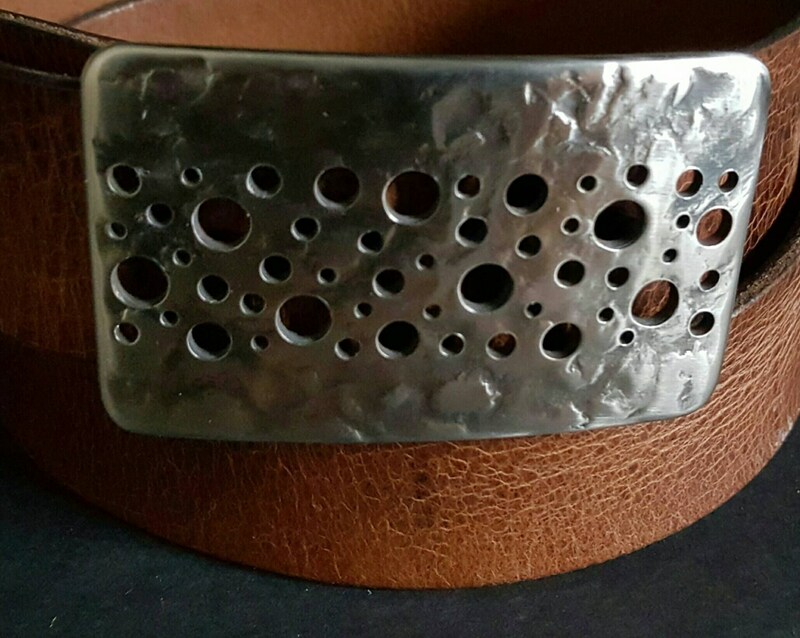 Don't include belt buckle in your measurement. Favorite us and get notification of all our latest items...hot off the anvil!